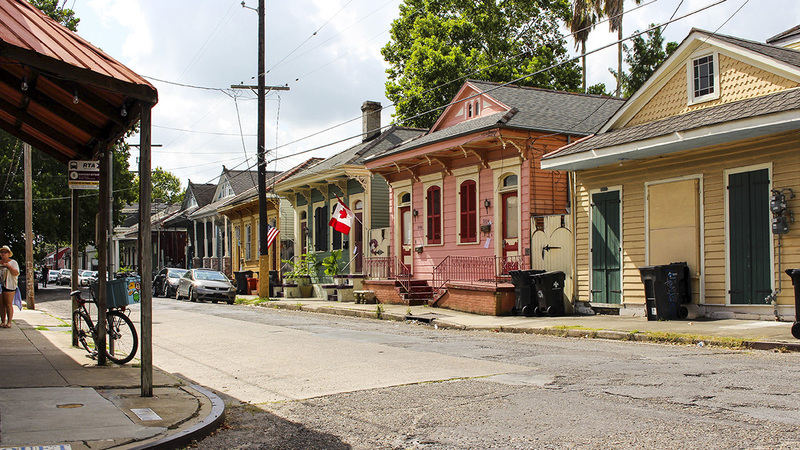 Named for its proximity to the Mississippi River and the surrounding canals, the Bywater neighborhood is located downriver from the Vieux Carré and the Faubourg Marigny on the river’s natural levee. Once a dense hardwood forest, the area was developed into various sugarcane plantations in the eighteenth century. By the early 1800s, these plantation estates were subdivided into a residential neighborhood, originally named Faubourg Washington and populated by African Americans, Haitians, and poor European immigrants. Its closeness to the river and the railroad connection to Lake Pontchartrain established the neighborhood as an important industrial hub particularly significant to shipping. 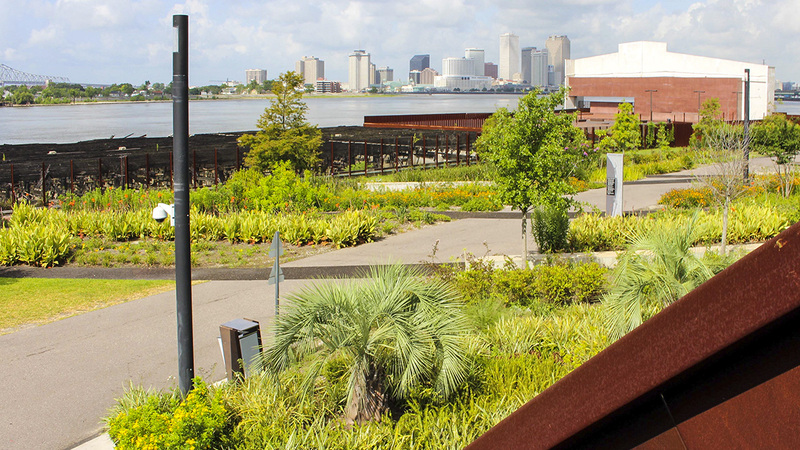 It has seen additional growth and gentrification in the years after Hurricane Katrina, having weathered the storm better than most other parts of the Ninth Ward. 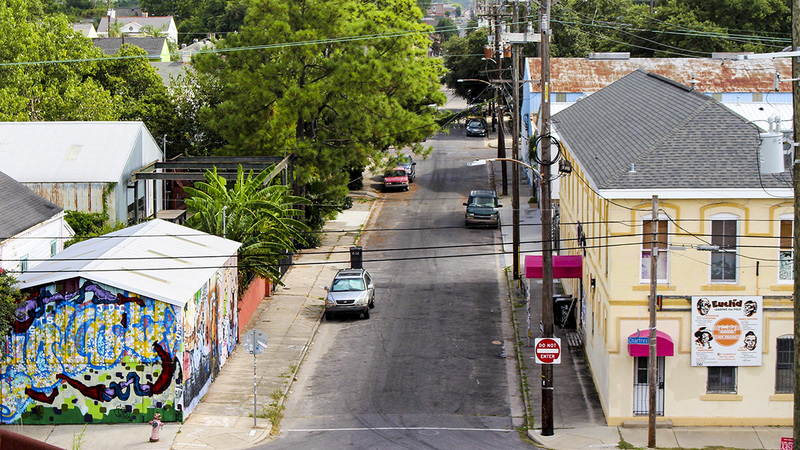 Bywater is bordered by the Faubourg Marigny to the west, St. Claude to the north, and Holy Cross to the east (across the Industrial Canal). Houses have a small setback from the road and are typically separated from neighboring houses by thin strips of grass. 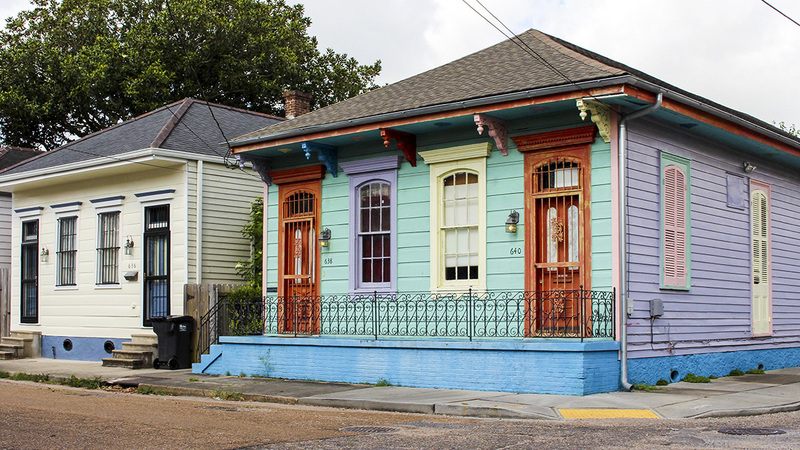 Shotgun houses are the most common architectural type, usually in the Greek Revival and Italianate styles, and Creole cottages also characterize the area. Brightly colored houses and colorful street plantings lend a Caribbean character to the neighborhood and speak of its diverse cultural heritage. Along the riverfront, many vacant industrial structures have been converted to artists’ studios, shops, and residential developments. 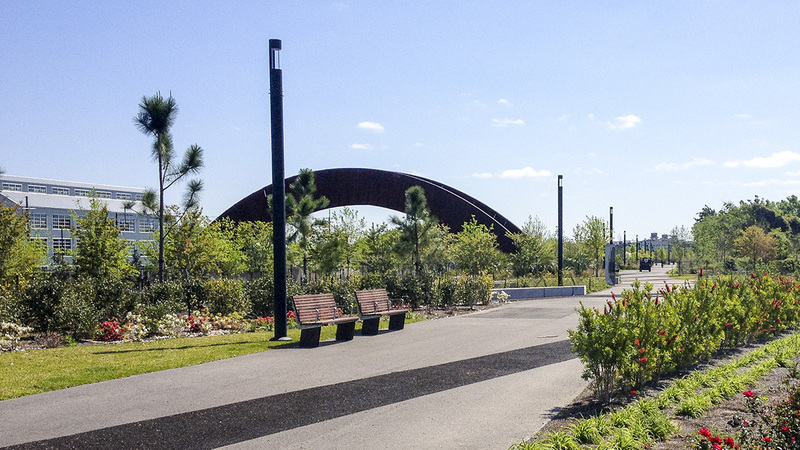 Crescent Park, designed by the landscape architecture firm of Hargreaves Associates in collaboration with Architects Eskew + Dumez + Ripple, opened in 2014 and has helped reconnect the neighborhood to the Mississippi River, with 1.4 miles of public open space along the riverbank. 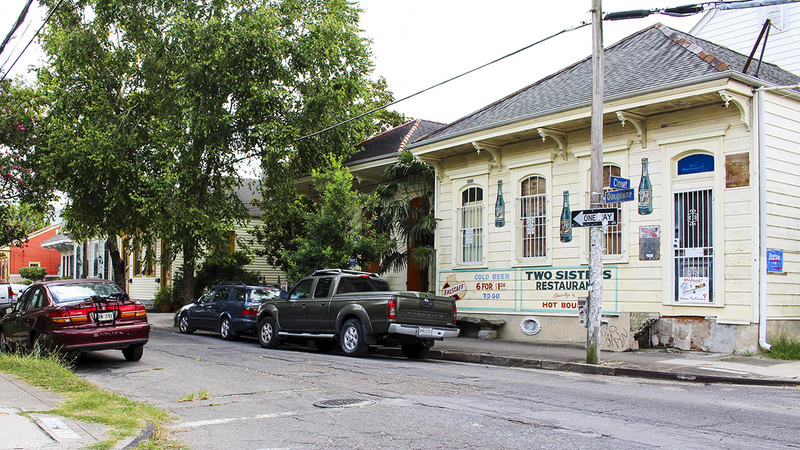 The Bywater Historic District was listed in the National Register of Historic Places in 1986.